At the Stegerwald Settlement in Cologne, the first construction phase is underway and the second phase of construction started in May 2016. The planning and tendering process for the different local energy productions is mainly completed. 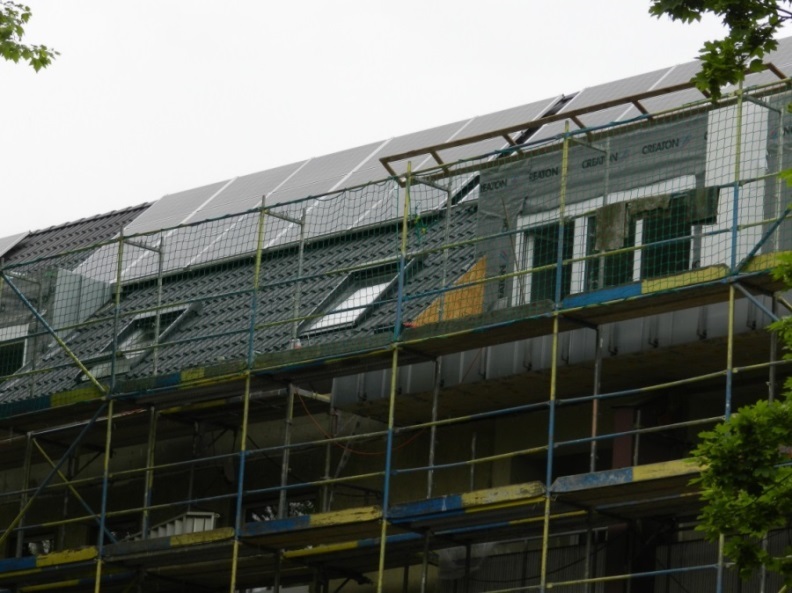 With photovoltaic modules installed on the roofs of the first four buildings, our progress is becoming more and more visible! As you can see on the map the scaffolding is now progressing and the construction of the next buildings is coming closer. 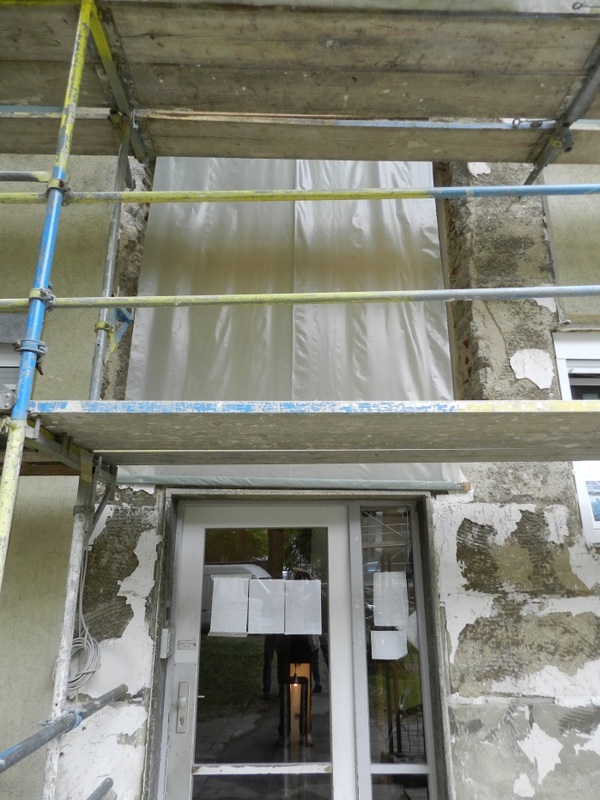 DEWOG has started the refurbishment and is currently insulating the buildings, basement ceiling, and roofs as well as installing triple glazed windows in some of the buildings. The façades will be reinforced with an additional 10cm of insulation on the gable side, adding to the existing 6cm insulation. Houses which are not yet insulated are being provided with 16cm of insulation. 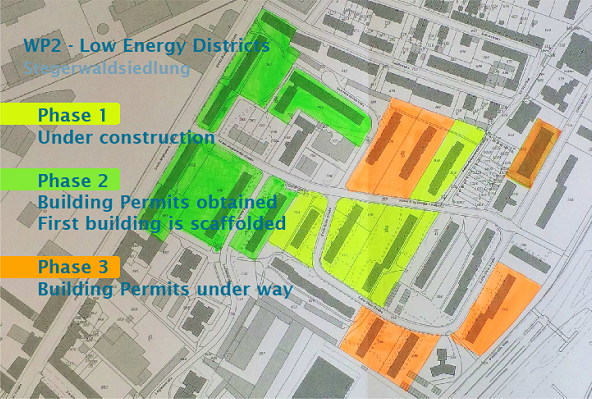 Also the buildings in the Deutz-Mülheimer Street (which are in the second construction phase) will be insulated with 16cm after dismantling the existing 6cm. The insulation keeps the temperature of the buildings more consistent, whether during warm or cold temperatures. By doing so, we can significantly reduce the primary energy consumption for heating and cooling. The old self-contained central heating has been replaced with central heating in two buildings. The two other buildings in the first construction phase will be completed soon. The installation of new energy efficient elevators is also underway. Furthermore, the stairway lighting in all renovated buildings will be replaced with efficient LED lighting. DEWOG will install modern, electrically powered heat pumps with high efficiency which will be powered by the PV-modules of RheinEnergie. Soon RheinEnergie will also add electric storage. The combination of these components will reduce the consumption of primary energy in the Stegerwald Settlement significantly. 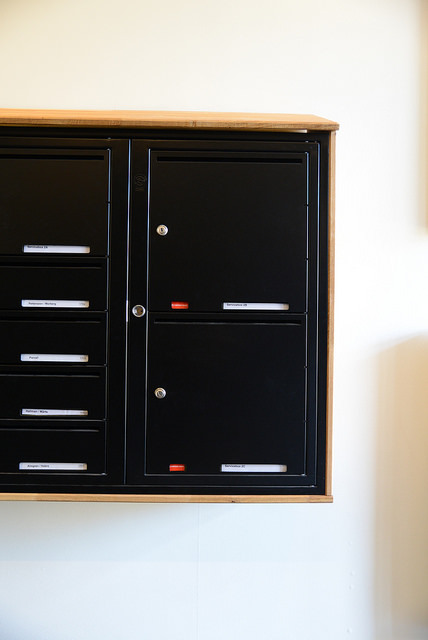 Until the modern heating components are finished, the tenants of the settlement must be provided with temporary heating stations. 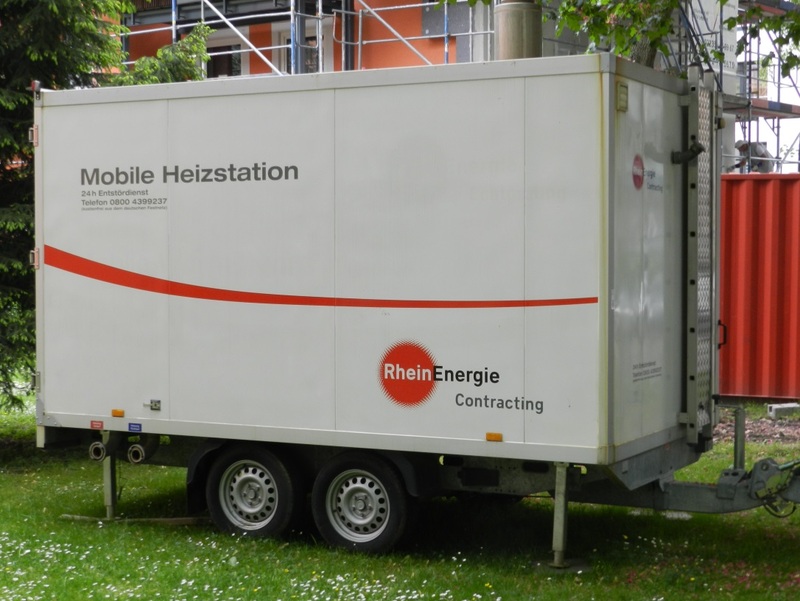 To this end, RheinEnergie has deployed three heating stations (two rented and one mobile RheinEnergie heating station) presently in use. We expect to complete the installation of the new heating components in October, just in time for the winter. 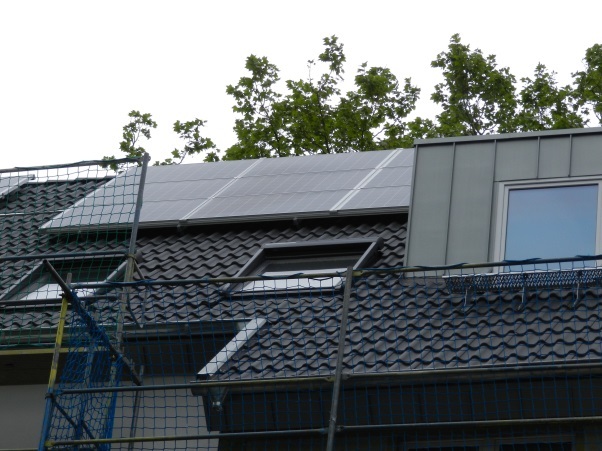 With the SmartHome application of RheinEnergie in combination with SmartMeter of AGT International, the tenants are able to track the current energy consumption of connected devices. As a result tenants are able to recognize devices which consume large amounts of energy and should get a better general overview about their consumption of electricity. This could motivate them to replace their electrical equipment, or parts thereof, with energy-saving devices. AGT International and RheinEnergie are currently working on a joint venture to combine both systems into one. Since the Federal Government is currently deciding about the necessary IT-security (potentially to conclude by the end of 2016), the rollout of smart meters may begin mid-2017. 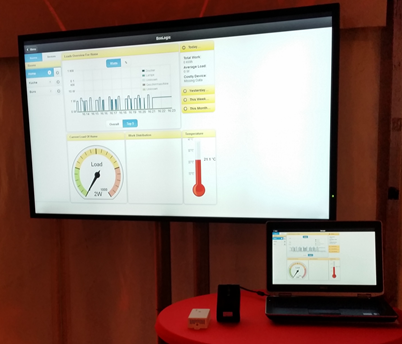 The SmartHome system was shown and explained to the tenants at an event in the Stegerwald Settlement in November 2015. Another event is planned for November 2016, where SmartHome will be presented to the tenants again. In order to display the functions of the system, DEWOG in cooperation with RheinEnergie and AGT International is installing the Smart Energy Solution (hardware and software) in the Stegerwald Café. 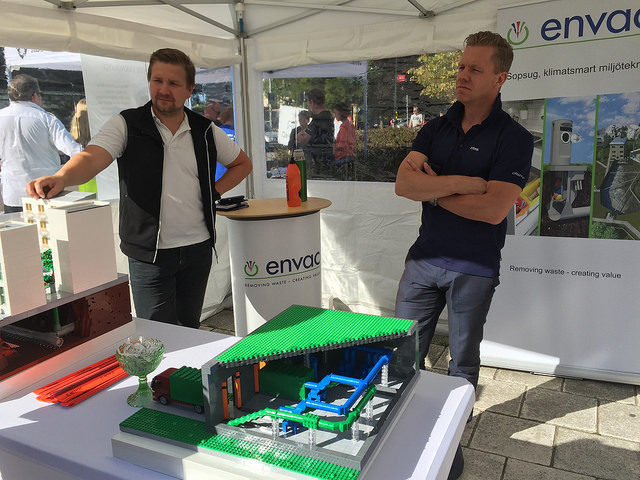 Virtual power plants for holistic settlement management have so far only been carried out as research projects. 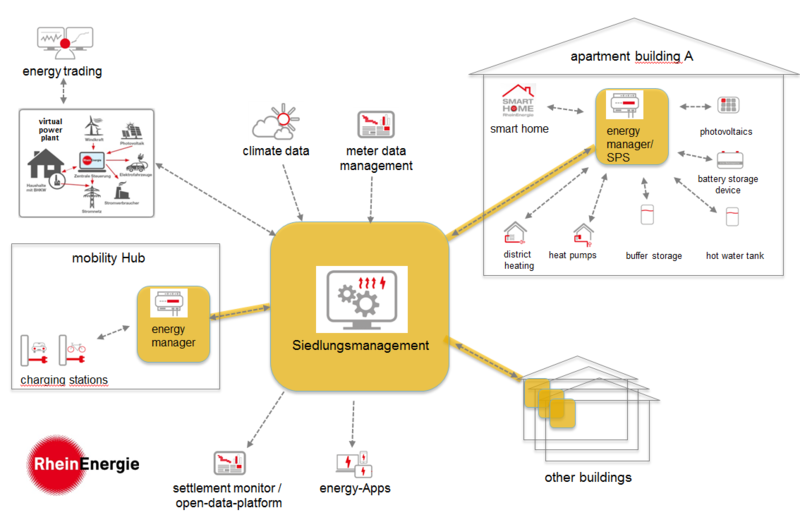 The RheinEnergie „Siedlungsmanagement” software leads to an autonomous self-sustaining development for communities. This would partially replace the supra-regional grid expansion as well as the construction of new conventional power plants. In addition, it provides the residents with the opportunity to influence their own energy consumption. The “Siedlungsmanagement” is a tool that is designed to be replicated in other city or town. 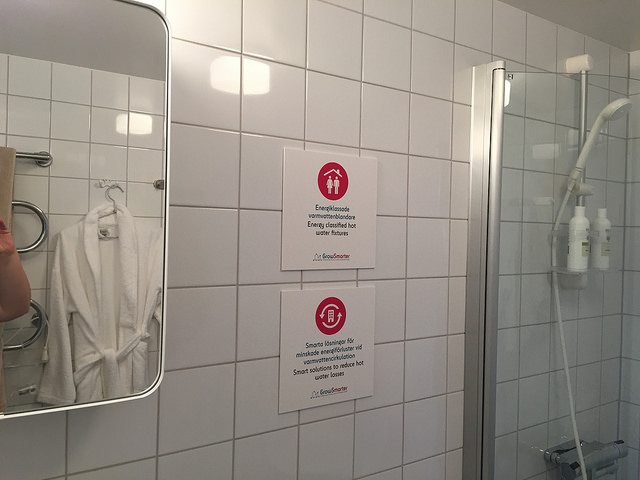 Based on the data provided by smart meters and smart home appliances, RheinEnergie is better able to offer attractive tariffs (“Mieterstrom”) and useful services to the tenants. The holistic interaction of all components, such as power generation, storage, SmartHome, Smart Meter and consumption, will lead to a change in energy awareness as well as a social sense of community within the settlement. The City of Cologne, together with 12 partners, is working on a project called "colognE-mobil". This is one of the largest field tests as part of a program called “model regions for electro-mobility” launched by the German government. The charging infrastructure for GrowSmarter will be implemented together with the e-mobility. 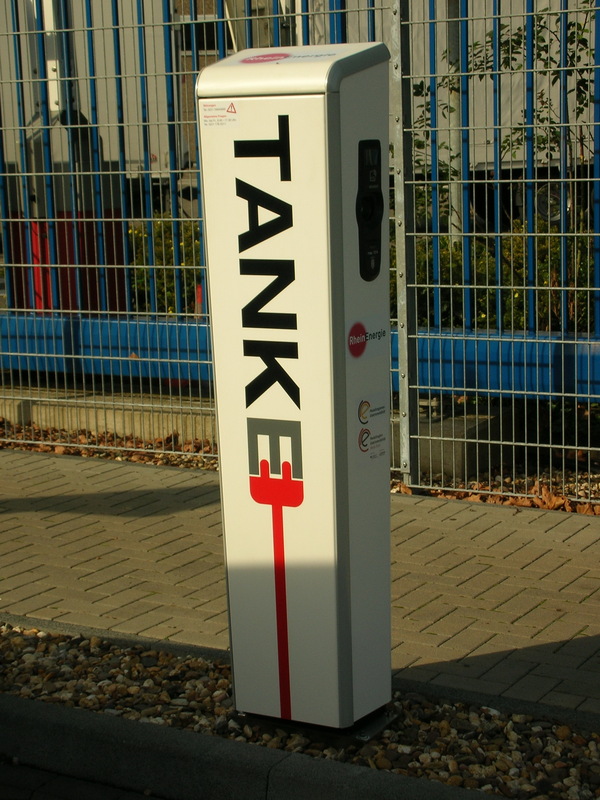 The city government has now approved the mobility-stations, so RheinEnergie is able to start installing the charging infrastructure. That hasn’t been an easy task! 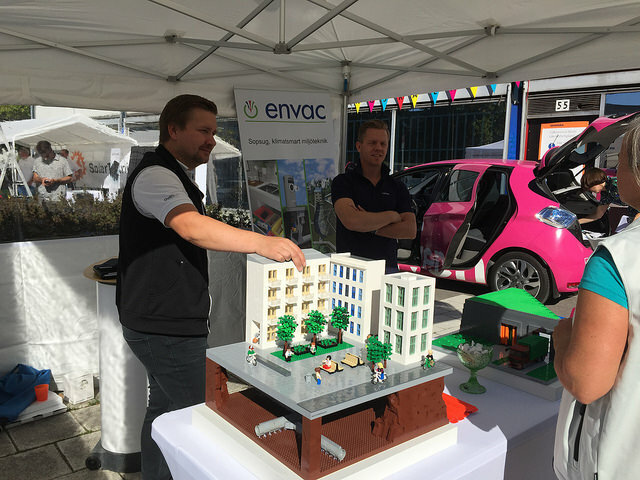 Lots of planning was required, including coordination with all affected city departments, transportation agencies, as well as with North Rhine-Westphalian legislation. RheinEnergie will install approximately 15 charging stations in the project area Mülheim. 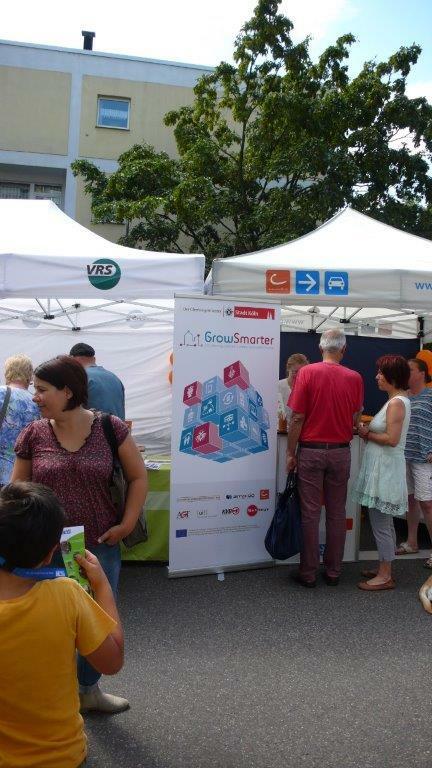 To promote the GrowSmarter project, we use opportunities like street festivals that are very popular in the summer months. 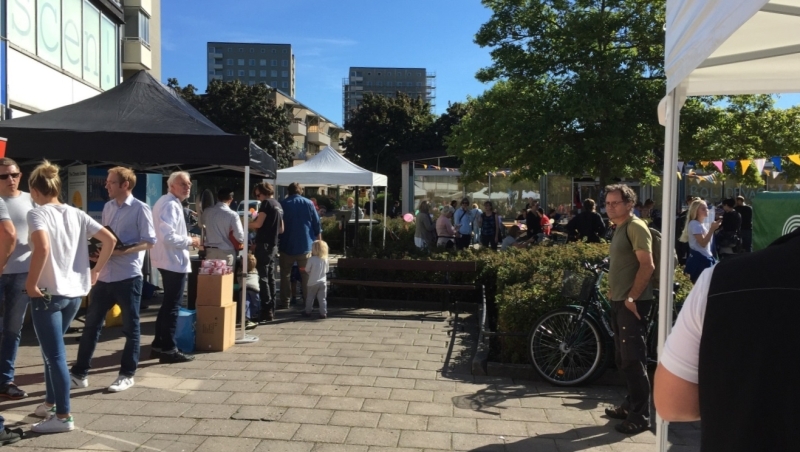 One such festival, with a rich history of tradition, took place in Deutz, neighbourhood neighbouring district to the Stegerwald settlement and the location of one of the mobility stations at the Charles-de-Gaulle Square. With our partners KVB and cambio CarSharing we informed citizens about the trend-setting solutions in traffic, energy, and communication technology that we are launching within GrowSmarter. 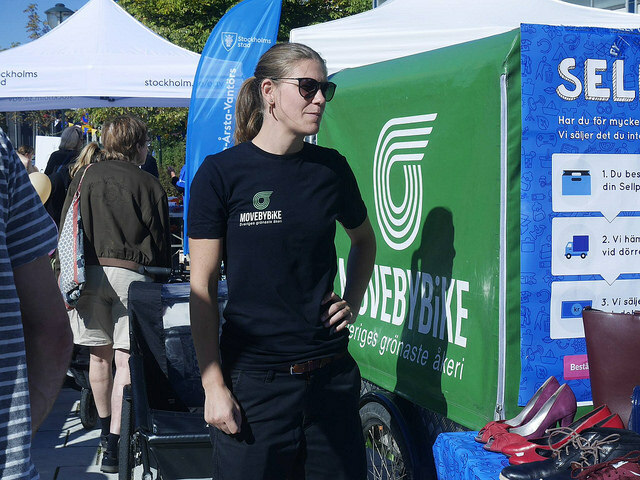 While discussing how to steer traffic flows and fulfil climate protection goals, many of the citizens decided to reduce their private car usage and signed up for carsharing and bike rentals. An important factor in this decision is the central location and the wide range of mobility options at the mobility stations. This demonstrates the importance of good promotion for GrowSmarter! The application is not yet finished – at the moment it only works properly in Google Chrome - but it is a very good example of how open data can be used to encourage innovation. We are very encouraged to gather and provide more data! 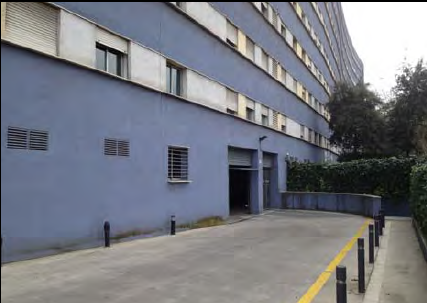 One of the refurbishment measures implemented by the Municipality of Barcelona within the scope of the GrowSmarter project is being carried out in the residential building of Passeig Santa Coloma 55-71. This building is composed of 207 dwellings with a total surface of 14,165m2, which will benefit from retrofitting to improve energy efficiency and comfort. 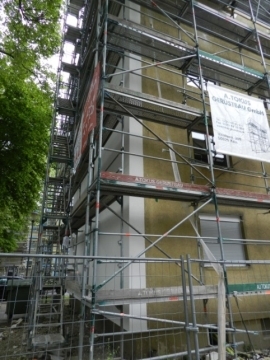 The work will include the passive refurbishment of the entire building façade. 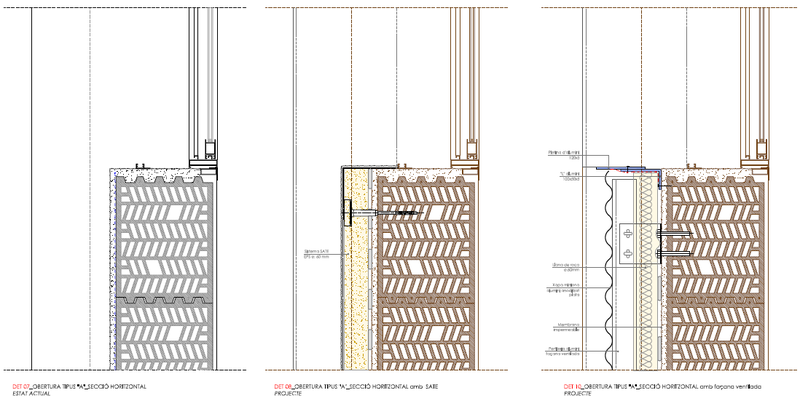 This refurbishment involves the addition of external insulation on the North, East and West façades, as well as in the South façades that are not protected by a terrace, together with treatment of thermal bridges. Both EPS and wool insulation will be used, the former being applied on ventilated façades and the latter on the rest of façades. Insulation on each façade has been optimized in order to protect indoor spaces from weather conditions depending on the orientation and irradiation received. The benefits of passive refurbishment will be assessed by means of thermal imaging before and after the refurbishment. 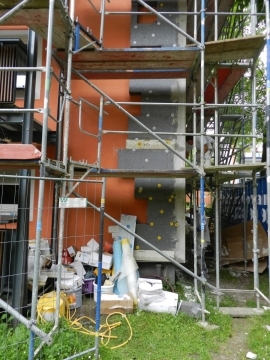 This insulation technique is expected to lead to a reduction of the heating demand of the dwellings by approximately 43% due to the improved airtightness. The blinds of all the windows in the building will also be upgraded. According to the calculations on energy savings prior to the refurbishment, the baseline total primary energy consumption of the building is 100.88 kWh/m2, while the same figure for the refurbished building is expected to be 53.36 kWh/m2. 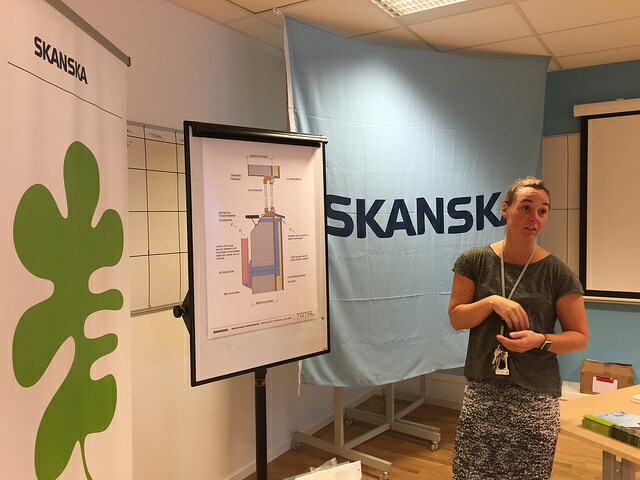 The fuel for space heating in this residential building is natural gas, so any reduction in space heating demand directly leads to a reduction in greenhouse gas emissions. The benefits for the tenants will not only be the impact in their heating energy bills, but also improved comfort and other quality aspects of the building, such as noise and humidity insulation. 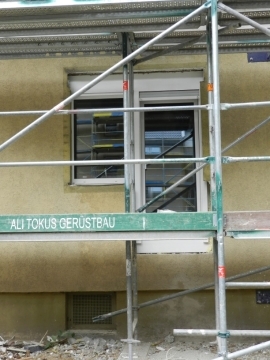 In order to monitor the impact of the refurbishment on the building’s energy consumption, 4 of the dwellings will be monitored to collect data from electricity and natural gas consumption of the apartments once the façade retrofitting is completed. 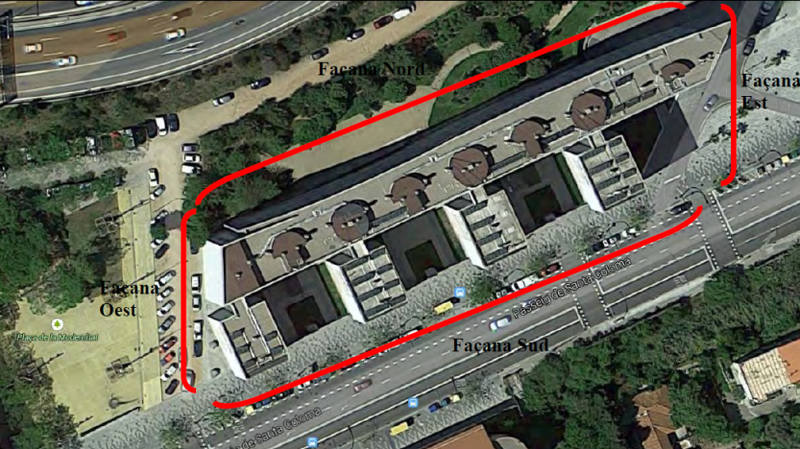 In addition, the Municipality of Barcelona has also implemented a monitoring system for the existing 13 domestic hot water installations fed by a solar thermal system on the rooftop of the building. Finally, the assessment of comfort conditions will also be carried out in several dwellings by measuring the indoor temperatures, humidity and CO2 concentrations. This experimental assessment will be carried out by means of a survey to the tenants. 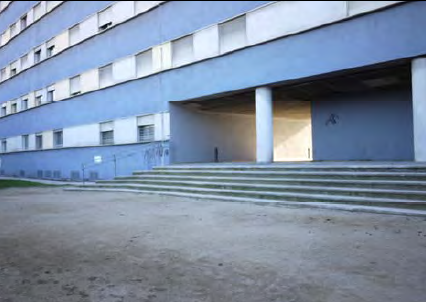 All the refurbishments in the residential building of Passeig Santa Coloma 55-71 are being promoted by the public body responsible for social housing in Barcelona, Patronat Municipal de l’Habitatge de Barcelona - PMHB. Cities and their citizens are producers of large amounts of diverse data. Diversity of many data sources is in fact one of the biggest issues in big data processing. Semantic data integration offers unique advantages as opposed to more traditional approaches, such as ETL (Extract, Transfer, Load), which create bottlenecks for data access and doesn´t scale as well as technologies that consume data directly without moving it around. It´s worth mentioning that semantic technologies and linked data are not a competitor for the role that databases play; they complement database technology to allow ad-hoc exploration and the integration of semi-structured and unstructured data (temporal, spatial, network, etc) that can be sparse and can hide implicit information. They model an open world in which data and metadata can evolve naturally and new implicit relationships may be discovered based on explicitly defined relations and constraints. Semantic technologies are about capturing variable, dynamic, linked schemas, regardless of where or how the actual data is stored. 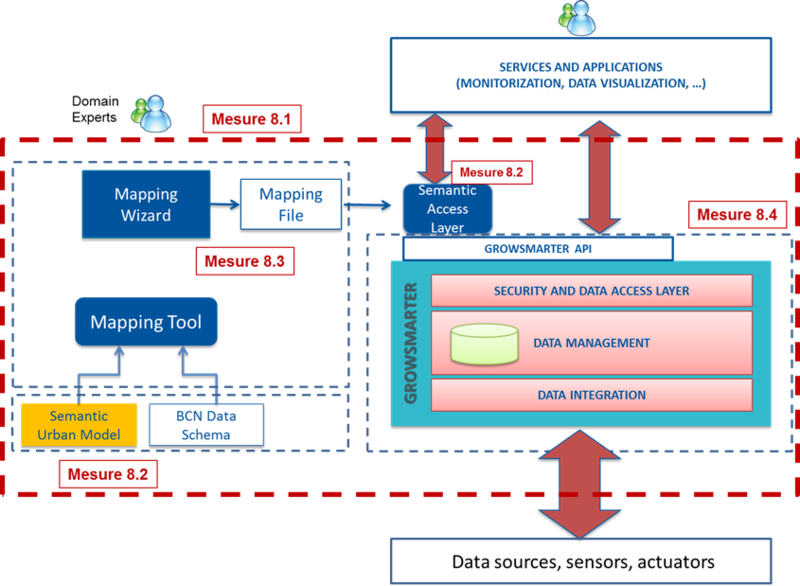 Barcelona´s big data integration solution is based on such a semantic approach. The idea is to provide a modelling layer (8.2) that reflects the concepts and relationships for the domains addressed in the GrowSmarter project (energy, mobility, and integrated structures), and to access the data instances through this model rather than directly. This makes it easier to integrate further data, as well as to explore and query it without having to understand what the real structure of the database is. It is also a powerful tool for quick data integration and access, which could be useful when porting it to a new city with different data. The user should have access to the ontology exploration and query tool that enables him to find concepts of interest in the model via a local search starting from anchor entities identified by the tool. In addition, the user must be able to intuitively construct queries without having to learn the query language (SPARQL). In our implementation, queries are constructed visually and are translated into calls to the GrowSmarter Data Platform (Semantic Layer in 8.2). This process relies on the crucial step of retrieving the mappings between the data storage schema and the ontology concepts (8.3). It is a semi-automatic collaborative tool in which the domain experts must select from the recommended mapping those that best reflect reality. Once the API calls return results, these will be combined into a unique result and returned to the user or the application that formulated the semantic query. We have finished the development of the energy ontology starting from the T.U. Wien ERO ontology and adjusting it in close collaboration with our energy domain experts, IREC (Barcelona). We are in the process of developing the mobility (and contamination) ontology. We have implemented the mapping tool based on LogMap from Oxford University, and we are in the process of hooking it up to a tool that facilitates visualizing the recommended mappings. 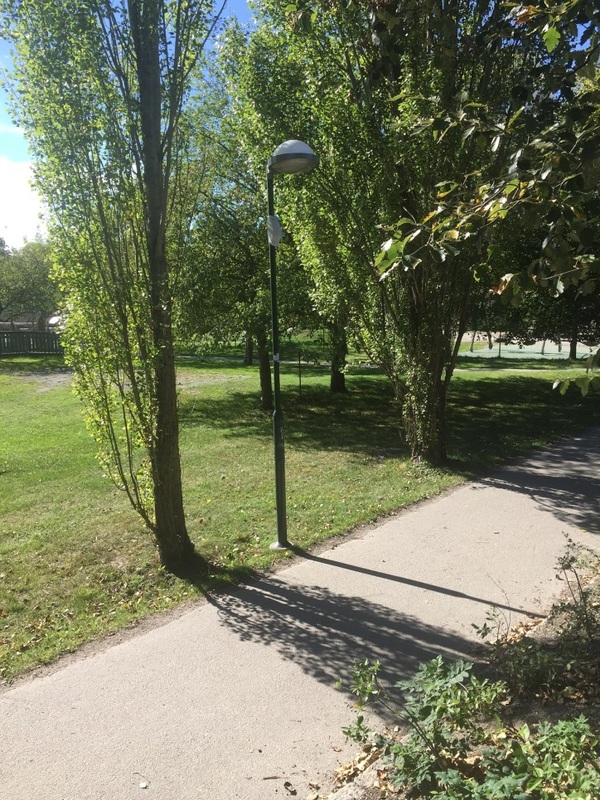 The last implementation step will involve connecting the semantic queries to the GrowSmarter Data Platform and computing and displaying the final results on the city map. The intention is to make this approach available to applications that work with data from the City of Barcelona, and to then select a subset of them - in collaboration with our partners from Köln and Stockholm - that could be ported to work with data from these cities. This can be a first step in demonstrating the viability and advantages of a semantic approach, and of our toolset, for data integration and seamless application access to different sets of city data.